Pfc. Phillip T. Matthews, son of H. T. Matthews, graduated from Weaver High School. 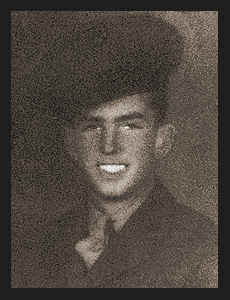 Entered Marines in Oct. 1943, trained in Camp Pendleton, Cal. ; served in new Caledonia, Guadalcanal and Okinawa; is now on duty in San Diego, Cal. Awarded Am. Defense Ribbon, Asiatic Paific Ribbon with one Battle Star, Pres. Unit Citation, Victory Ribbon, Navy Unit Citation .